Susan Aitkenhead is Director of Nursing, Professional Development at NHS England and leads on a variety of work aligned to system and service transformation at national, regional and local levels. 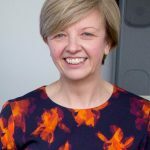 Susan is a registered nurse with extensive clinical, operational and strategic experience in delivering healthcare across a variety of settings; and provider and commissioning Board roles based within both the UK and overseas. She has also worked in a variety of national policy roles such as at the Department of Health providing advice and support to ministers and policy officials across central government departments, and in professional regulation at the Nursing and Midwifery Council. As part of her role Susan also works one day a week as a non-executive Director for Manchester Health and Care Commissioning, as their Board Nurse. This is a partnership between Manchester City Council and NHS Manchester Clinical Commissioning Group (previously NHS North, Central and South Manchester Clinical Commissioning Groups). These organisations came together to ensure a more joined up and effective approach to commissioning health and social care services for the people of Manchester; and the Board Nurse role adds scrutiny with particular regard to guardianship of the patient experience across all care settings including safeguarding, quality and experience.